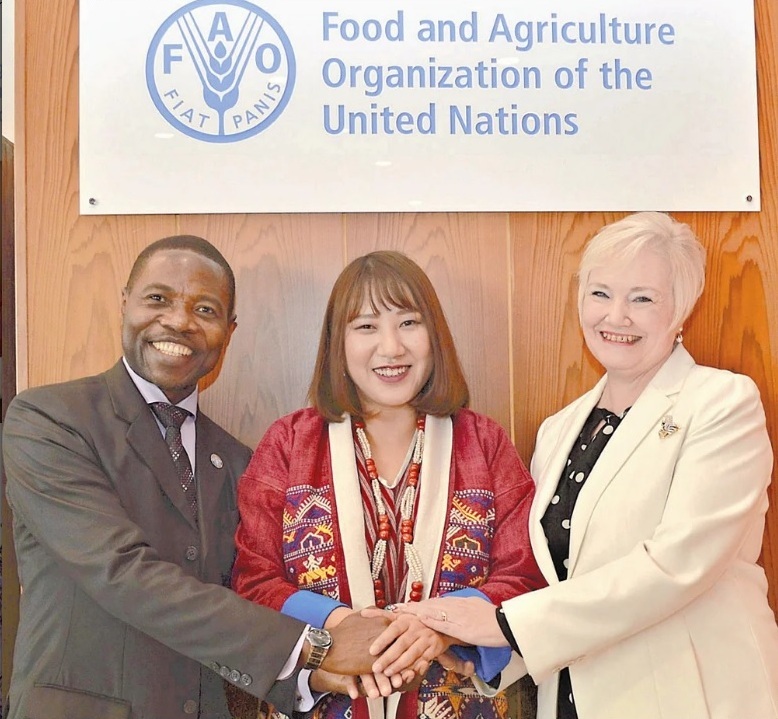 Pema Yangchen Gyama, one of the first year Awaji Youth Federation graduates, was selected as an intern with the United Nation’s Food and Agriculture Organization (FAO) in Rome, Italy. Her internship will last for three months, starting in April 2019. Pema comes from the Northeastern part of India and has an MBA in Human Resource & Marketing. After finishing graduate school, she went on to work for a renowned bank to support the poor in her region. In 2017, she joined the yearlong fellowship program conducted by Awaji Youth Federation in Awaji to enhance her knowledge and experiences and applied for this internship with FAO upon graduation. During this internship, she will focus on projects related to gender-linked opportunities and challenges in promoting sustainable urban and pre-urban agriculture.